Galerie LuS: Fine art and photography: You looking at us? 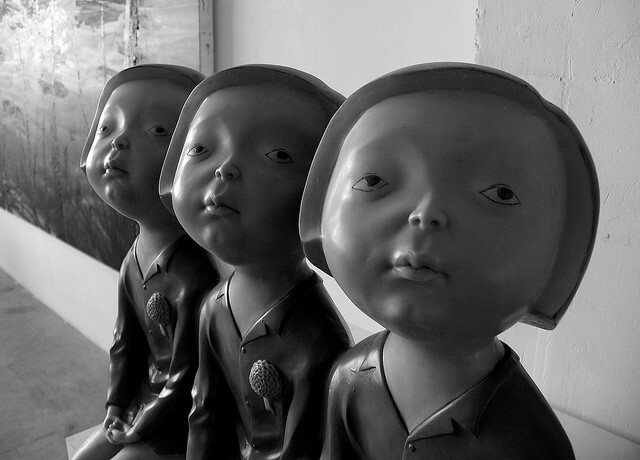 Modern Chinese art can be incredibly banal, but it can also be fascinating. During one of my stays in Shanghai I shot a series of sculpture shots in the local galleries that I quite like, especially this one. Did not catch the name of the artist, but the interaction with the spectator is compelling.